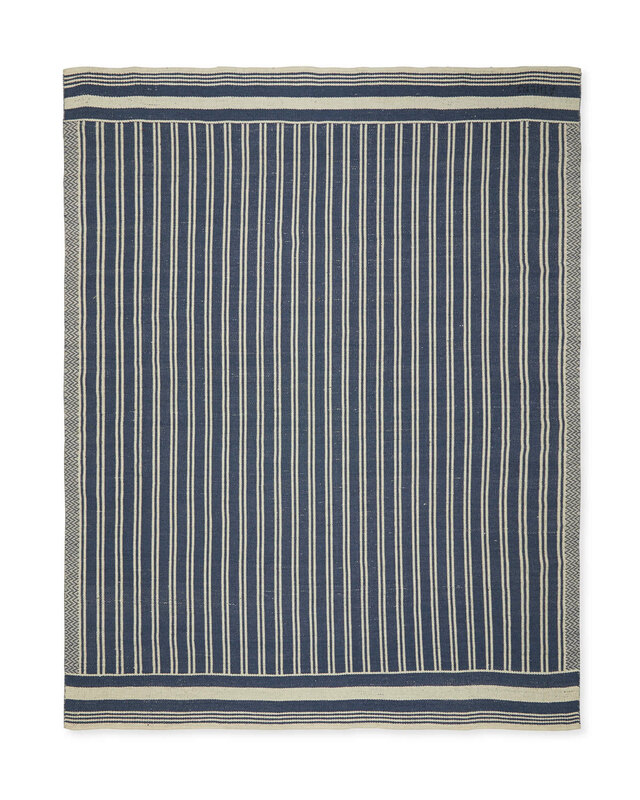 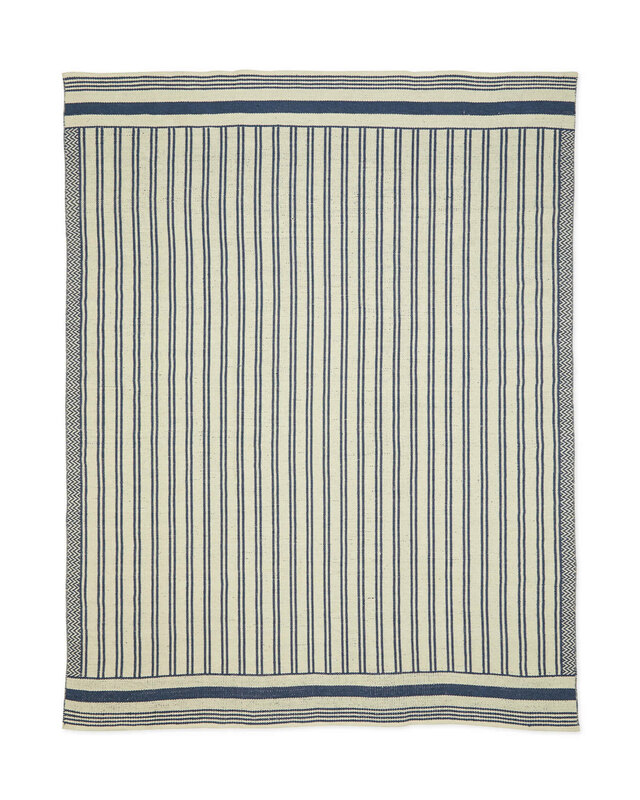 Athens Outdoor RugAthens Outdoor Rug, alt="Athens Outdoor Rug, "
Print The framing power of these stripes will command any space. 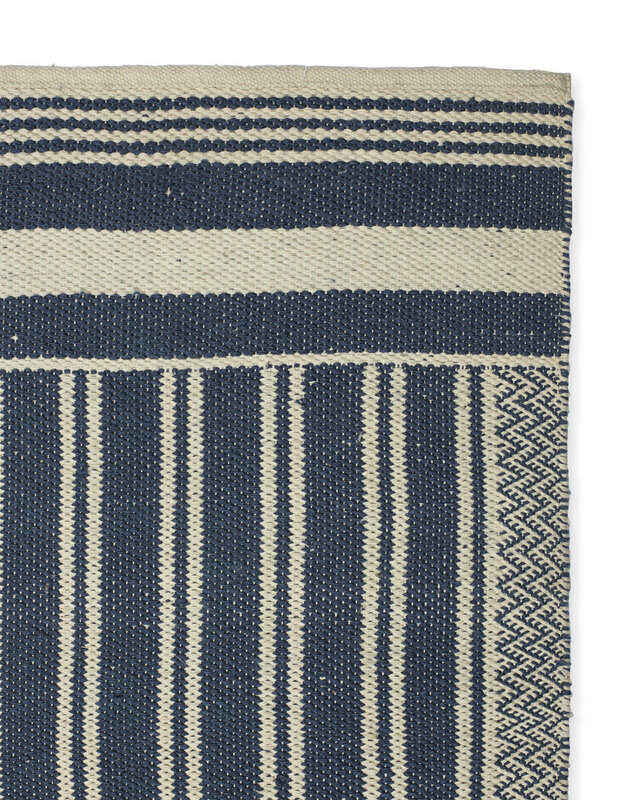 We’re not opposed to breaking boundary rules and bringing this outdoor rug inside. 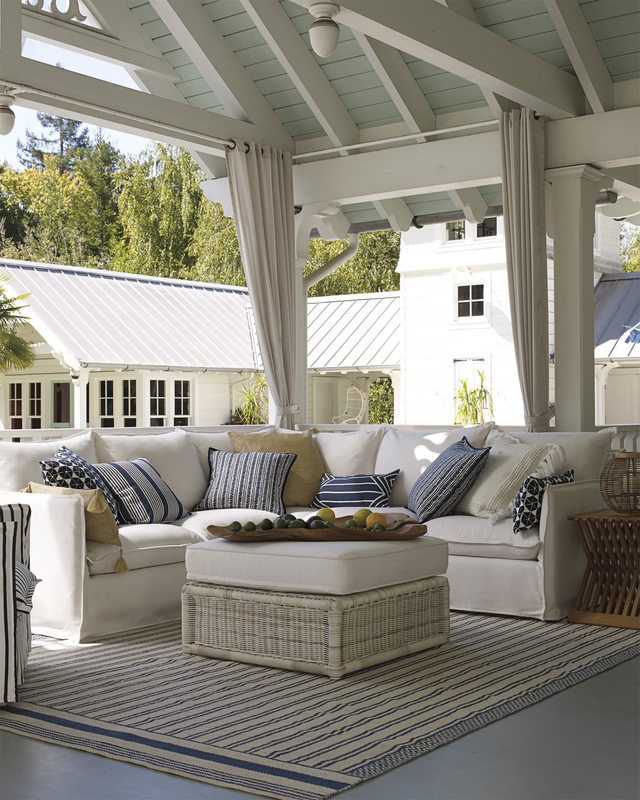 The durable weave, column-like pattern, and classic palette have an any-space accessibility. 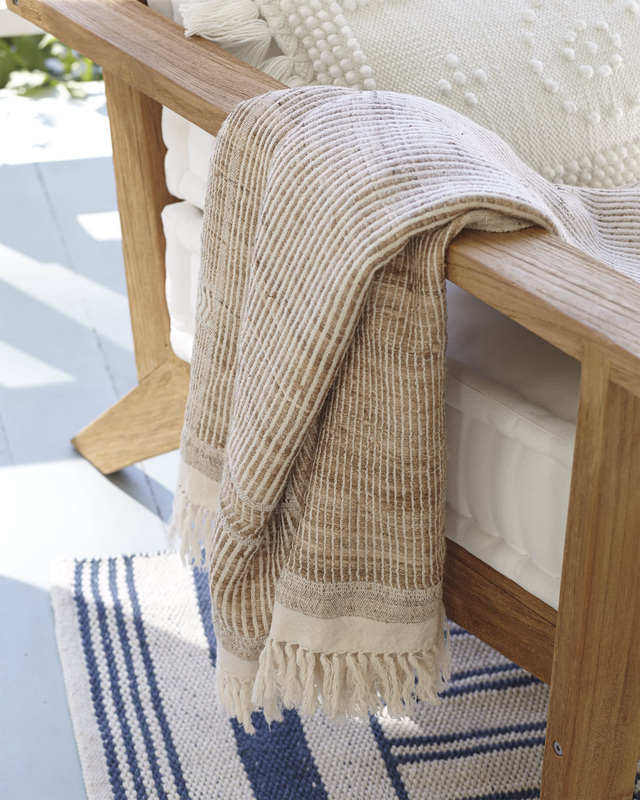 Handwoven and weather-friendly. 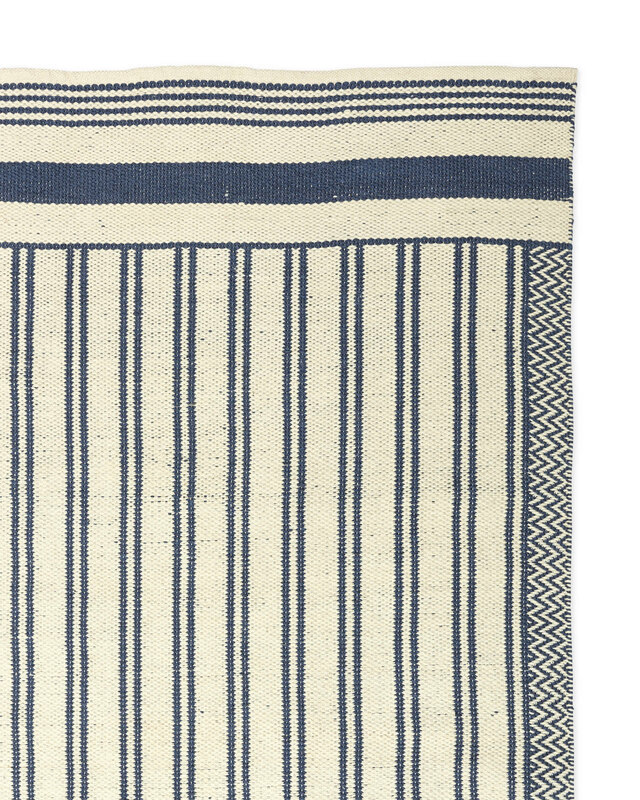 Reversible design, featuring a navy ground and ivory stripes on the back.